Browse through the vast selection of commercial vehicles that have recently been added to our inventory. Welcome to Commerce Truck & Equipment Sales. We take pride in offering high-quality new and used commercial trucks in California. 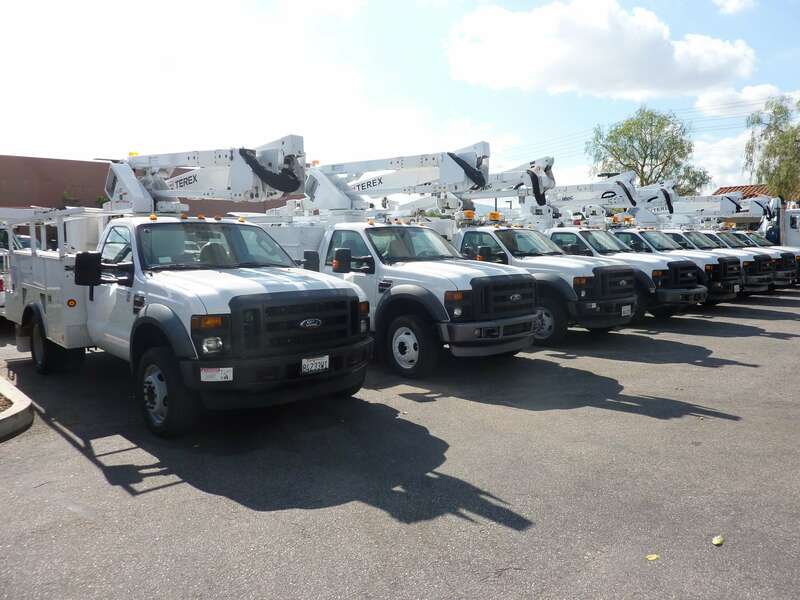 We offer medium & heavy duty diesel & gas vehicles for sale including; Chipper Trucks, Flatbeds, Digger Derricks, Bucket Trucks, Roll Offs, Dump Trucks, Trailers, and more. The vehicles we offer are Freightliner, International, Sterling, Ford, Volvo, and more. Conveniently located in Southern California, we have been selling commercial vehicles and equipment to local, national, and international buyers for more than 20 years. We take pride in inspecting and servicing our trucks on-site. In case of repairs, we have a shop that can service all brands and types of commercial vehicles with specialty equipment. We are very thorough with our maintenance & repairs, so we even provide reupholstering services should the need arise. This is why our new and used commercial trucks for sale exceed the standards set by the Department of Transportation and other dealers. For peace of mind, we issue customers a 30-day or 3,000-mile limited terrain warranty on all vehicles. Before you buy any vehicle from us, we inspect the vehicle to make sure that everything is working. From checking if the tire pressure is within practical levels to inspecting the chassis for anomalous fluid levels as well as keeping an eye out for any leaks or any problems, we’ve got you covered. We also check underneath the trucks and make sure that all the bolts and screws are fastened firmly as well as making sure that no parts are hanging down the frame. Our thorough process guarantees that we sell clients the highest quality vehicles around! We are dedicated to providing exceptional customer service. Our staff has undergone extensive training by OEM’s like Terex and Altec. In addition, our maintenance and sales team are equipped with many years of industry experience with new and used commercial vehicles. We are committed to helping clients obtain great value for their purchase of medium & heavy duty trucks in California. If you have any questions or inquiries about our vehicles, feel free to get in touch with us by calling (951) 898-0199.